BBM for Android & iOS delayed again, will they ever launch considering financial situation? We reported recently that Blackberry are splitting their popular BBM messaging service into a standalone app which they’re launching on iOS and android. Or at least that’s the plan, because when it comes to Blackberry it never rains and just pours. 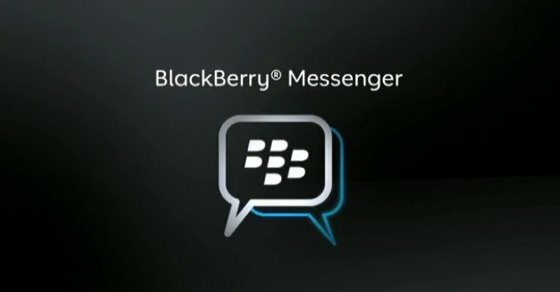 First, BBM was going to launch early summer. That hit the buffers for numerous reasons, most or the making of the beleaguered Canadian company’s making. Then we heard that Apple had been keeping Blackberry waiting. The app stores acceptance process usually takes a handful of days, but for Blackberry had now taken three weeks. We’re Apple playing games with their former rivals or were there fundamental faults in the code behind the apps? In other words, were these legitimate holdups or were Apple screwing blackberry? The answer appears to be the former. Created apps that are up to standard for inclusion in the App Store shouldn’t challenge a company of BlackBerry’s stature. After all, bedroom coders have little trouble, and the App Store is hardly a collection of stellar apps. There is chaff amongst the wheat. This all happened on Saturday, but has been followed up by an official “pause” of the launch, with no new timetable offered up. The android app has been disabled, and both versions of BBM will now launch in a staggered manner, geography by geography, rather than just the iOS version, as planned. To make matters worse, the company have spent vast amounts of money promoting the new app in prominent UK online ad campaigns. It’s another case of wasted money, and over promoting under-cooked products. The glory years, when every businessman and woman worth their salt had a blackberry, allowed the company to build up a vast war chest. The sad decline that followed has led to the squandering of billions of dollars. Now having lost $1 billion last quarter, blackberry have had to release 40 percent of their workforce. Their financial predicament so bad that they choose to announce their financial results early, their stock has since plummeted. So with all of these delays, will they ever get BBM on iOS and android or will blackberry fold first?